Les Ecumeurs du Saint-Laurent’s main objective is to allow their guests to discover the wonderful and extraordinary world of marine animals and other aquatic life of the Saint Lawrence River. For a great whale-watching cruise in Tadoussac on the St. Lawrence River, choose the Écumeurs du Saint-Laurent. 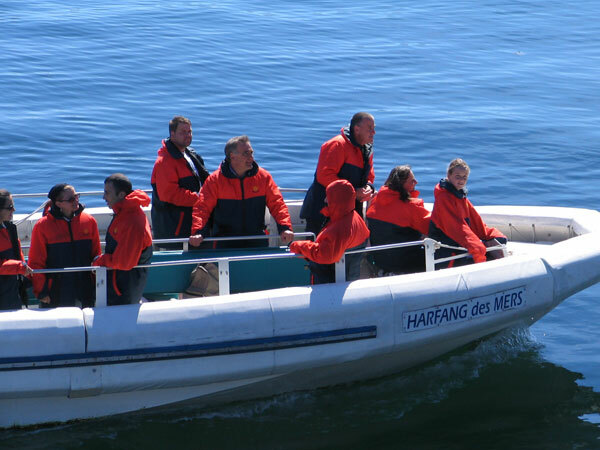 Discover Harfang des mers 1 and 2, our two inflatable boats specifically designed for watching the whales from up close on the St. Lawrence River. The Écumeurs du Saint-Laurent offers you the lowest rates, affordable packages as well as guaranteed satisfaction. 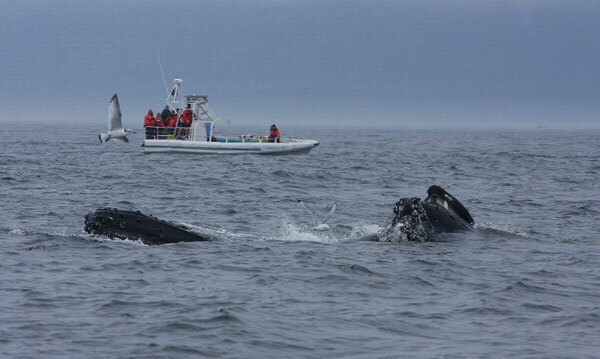 Les Ecumeurs du Saint-Laurent organise marine excursions to watch whales and other sea mammals living in the Saguenay St.Lawrence Marine Park. Les Écumeurs du Saint-Laurent offers you safe and fully equipped whale watching cruises aboard inflatable zodiac boats. Les Écumeurs du Saint-Laurent guarantees a 99,9% success for its cruises in the Saguenay-St. Lawrence Marine Park. In addition to going on a great whale-watching cruise, visit the Marine discovery centre, the CIMM or the famous Hydro-Québec dams. Les Écumeurs du Saint-Laurent offers you to discover a great range of marine mammal species spread inside the St. Lawrence estuary. In addition to your whale watching cruise, come discover everything that the Charlevoix region offers you in terms of attractions, activities and majestic landscapes. Tadoussac is the departure point of many whale watching cruises in the St. Lawrence Estuary as well as in the Saguenay Fjord. Come discover the immensity of the Manicouagan region which offers you among other things to observe the whales aboard a zodiac. 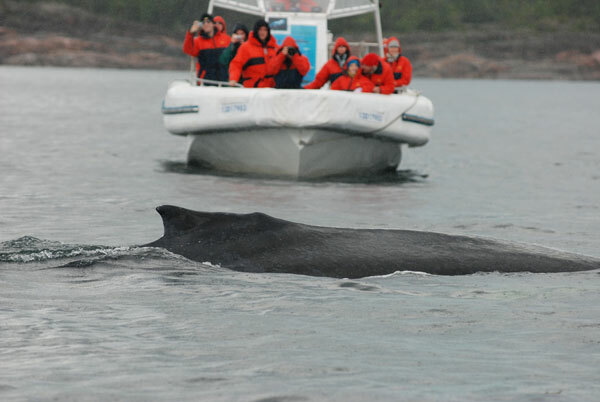 Discover all the beauty of the Saguenay Fjord while taking some time to observe the whales aboard a zodiac boat. Les Escoumins area is a prime destination to go watch the whales including the blue whale and fin whale. 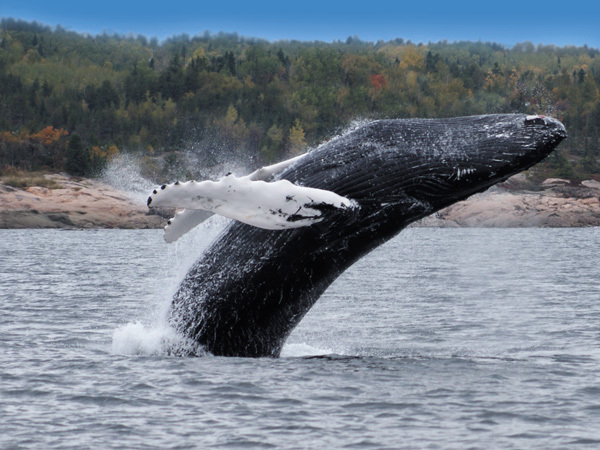 Reserve a lodging and whale-watching cruise package in one of the sleeping accommodations in the Tadoussac region and go on a whale-watching cruise with the Écumeurs du Saint-Laurent. Contact us to book early to board one of the excursions offered by Les Ecumeurs du Saint-Laurent. It is recommended to book early to board one of the excursions offered by Les Ecumeurs du Saint-Laurent. Les Ecumeurs du Saint-Laurent organise cruises with an impregnable view on the Gulf of Saint-Lawrence.